Bad Boy Records is set to commemorate the late Notorious B.I.G. on what would have been his birthday with a pair of massive reunion shows in Brooklyn next week. But now, fans of the hip-hop label will be able to see some of its biggest stars in their own hometowns. Label boss Puff Daddy announced this morning (May 16) that Bad Boy Records would be embarking on a full-fledged reunion tour featuring the man born Sean Combs himself, Lil' Kim, Ma$e, Faith Evans, Mario Winans, 112, Total, Carl Thomas, the Lox and French Montana. 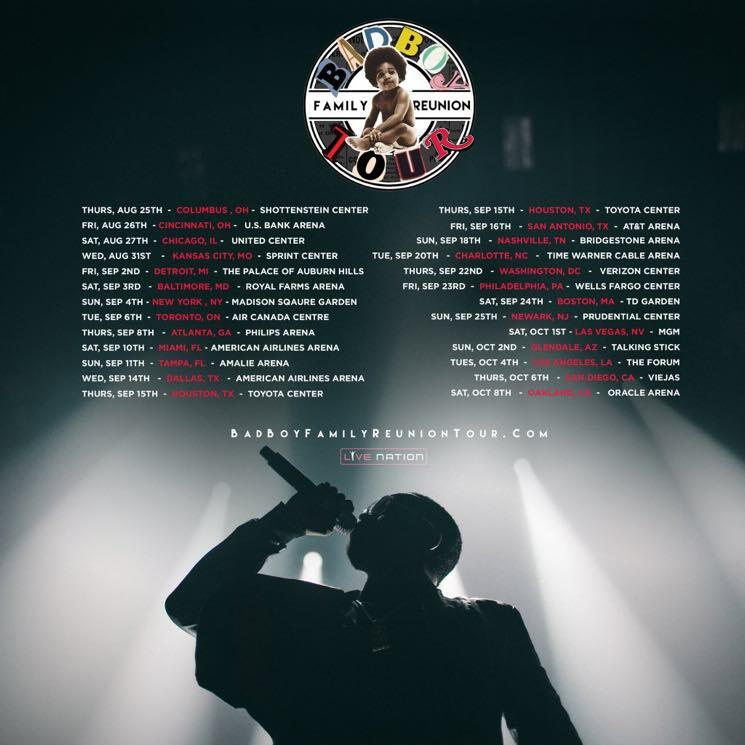 Dubbed the"Bad Boy Family Reunion Tour," the string of shows will kick off in Columbus, OH, on August 25 before making its way north of the border for a sole Canadian show in Toronto on September 6. This isn't just a concert–this is a moment in hip hop and R&B history. The family and I are so excited to welcome fans into this once in a lifetime experience. This tour is 20 years in the making, and is a celebration of the hits and the Bad Boy lifestyle. The Bad Boy Family has set the standard for concert excellence, and this tour will be a testament to that! Find the full list of stops below.